Open container of cinnamon rolls and separate rolls. Set glaze aside. 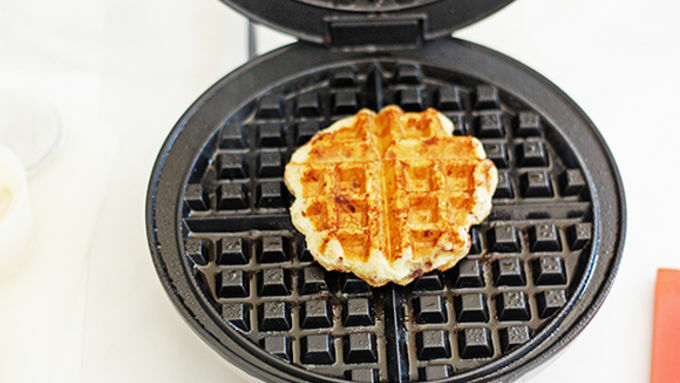 Heat waffle maker to medium. Spray both plates of he iron with cooking spray. Place one cinnamon roll in the center and close the lid. Cook 3 minutes until both sides are golden brown and roll is baked through. Remove roll with a spatula; transfer to a plate to cool. Repeat with remaining rolls. Transfer glaze to a microwave-safe bowl; heat 10 seconds until smooth. Drizzle over warm rolls. When life gives you lemons, make lemonade, right? 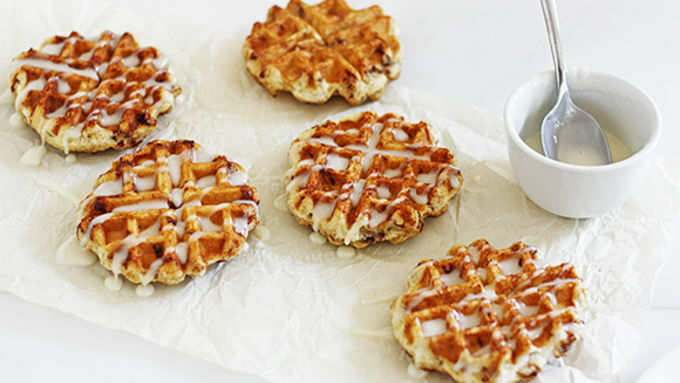 Well when life gives you cinnamon rolls, make Easy Cinnamon Roll Waffles. 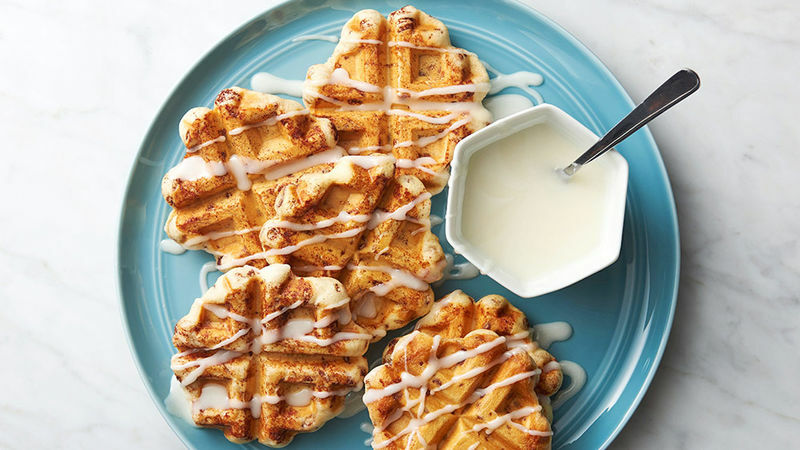 Pillsbury cinnamon rolls need not be simply cinnamon rolls anymore, Now you can bake them in a waffle iron and top them with warm glaze and make the best waffles ever! These are so ridiculously easy, you’ll wonder why you hadn’t done this before (I know I did, as I shoved one or five into my mouth) – but you’ll be glad you finally did. 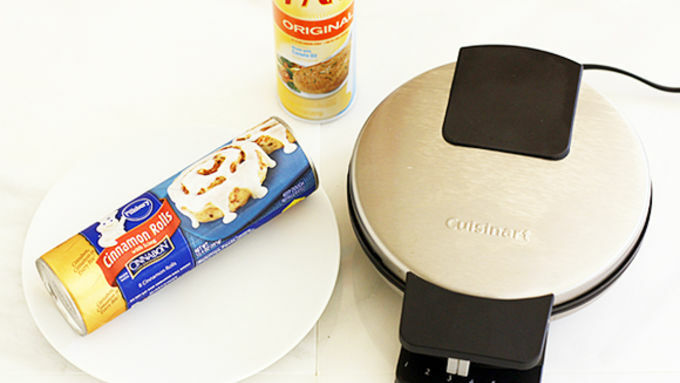 Time to make Easy Cinnamon Roll Waffles! 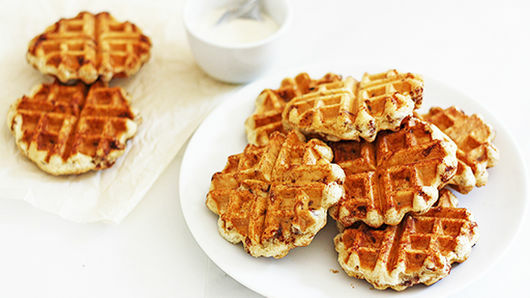 That, my friends, is how you make Easy Cinnamon Roll Waffles. Isn’t that ridiculously amazing/awesome/splendiferous? All that’s left to do is grab one, devour and repeat.